Volunteers are an important part of our organization. At Ecosource we appreciate the incredible volunteers that have worked with us over the years. We offer exciting opportunities for volunteers looking to connect further with their communities and contribute to a healthier environment. Ecosource is seeking new Board Members who are committed to the environment and share Ecosource’s vision of personal responsibility for the environment. Candidates skilled in communications, human resources management, contract law, governance, and/or fundraising are asked to submit a cover letter and resume to Ecosource’s Nominations Committee of the Board. Mississauga residents are preferred. The time commitment is a minimum 4-5 hours/month for preparation for and attendance of 10 board meetings per year with 1 or 2 half-day strategic planning sessions each year, and willingness to act on project-based Committees (time commitment to be determined). Interested candidates may submit a cover letter and resume to Ecosource’s Nominations Committee of the Board by email to info@ecosource.ca. Please fill out our volunteer form. You can bring the completed form with you on your initial visit to the event/program. Students under the age of 18 who are interested in volunteering with Ecosource must have their parent or guardian sign the permission form. Typically run from late May through October, the Growing for Our Good program hosts drop-in urban food gardening skills training at our teaching garden (705 Matheson Blvd. East, Mississauga). High school students can earn volunteer hours. To learn more about the popular Growing for Our Good program, see here. Shifts: Tuesdays from 4:00-7:00 pm from May 28th to October 15th. During the growing season in various Ecosource-facilitated gardens, community members can lend a hand to weed, plant, and cultivate gardens. See our event calendar for events that interest you, as each event has a different volunteer registration process. Shifts: Various times throughout the year, predominantly in the summer. PEYA is a regional network of over 1400 action-oriented students in Peel concerned about environmental issues and determined to make positive change. 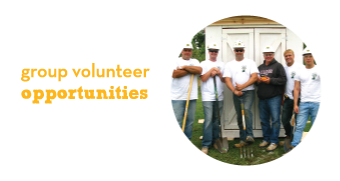 It offers monthly opportunities for networking and volunteering in various environmental stewardship initiatives. Visit peyalliance.ca to learn more. If you are a youth and have a passion for local food, join the Young Urban Growers network! Young Urban Growers play an important role in helping us grow local and organic food, promote the importance of local food in the community, develop our urban agriculture podcast series, and use organic produce to cook. This is a great opportunity to work towards high school volunteer hours and gain environmental leadership skills. Learn more here. A full season training program from seed to garden to harvest to compost! Offered across the City of Mississauga. This program requires volunteers to commit for the whole season. This program is FREE and open to all community members. All skill levels are welcome! Click here to learn more about this program. Are you talented with a camera and passionate about capturing moments in the community that can tell an inspiring story? We need volunteer photographers for the many exciting programs, demonstrations, and workshops that we facilitate in the community. Please email info@ecosource.ca to let us know you are willing to commit to be a volunteer photographer. Whether you’re a corporate group, a community group, or a group of friends and family looking to volunteer together, Ecosource is glad to have you! If interested in corporate group volunteer opportunities in the garden, email bmckee@ecosource.ca.